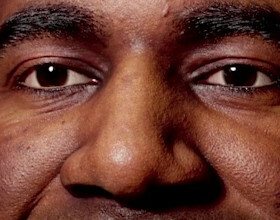 Originally posted on 18 April 2018. Scroll down for news of the official release. Tools developer BrainDistrict has launched Material-Z.com, a new website that lets users author PBR materials based on Disney’s Principled BRDF system and download the GLSL shader code and texture maps. Materials can be authored for free while the site is in public beta. The technology is also available as a separate desktop software package. Note: links to the Braindistrict website redirect to the site’s e-commerce platform. If you right-click the links in this story and open them in a new tab, you should be taken to the correct pages. Braindistrict has a track record creating unusual 3D tools: long-time readers may remember RaySupreme, then a natural-language modelling app, but now a more conventional browser-based modeller. Material-Z.com is itself based on fairly conventional technology – Disney’s Principled BRDF shading system, adopted in a range of DCC software, renderers and game engines. It also uses a visual scripting workflow that will be familiar to users of tools like Substance Designer, with materials generated procedurally by wiring nodes together and setting parameters. The difference is that everything can be done in a standard web browser, making it possible to author materials anywhere, on pretty much any hardware. At the minute, there are just under 100 sources available on Material-Z.com: mainly standard noise and pattern generators and mathematical operators. The documentation is fairly limited, but there are online tutorials, plus 25 readymade materials that you can explore, including cloth, metal, bricks and tiles. 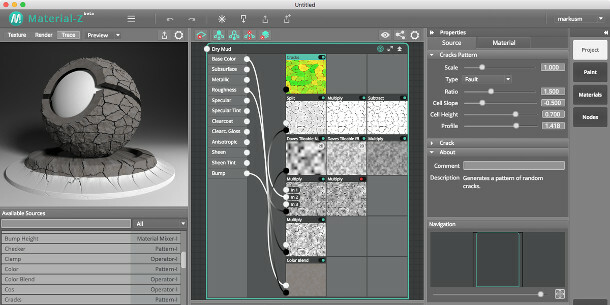 Output can be previewed in 2D or 3D, with the option to display individual texture channels, including metallic, roughness, anisoptropic, subsurface and two specular and clearcoat channels. 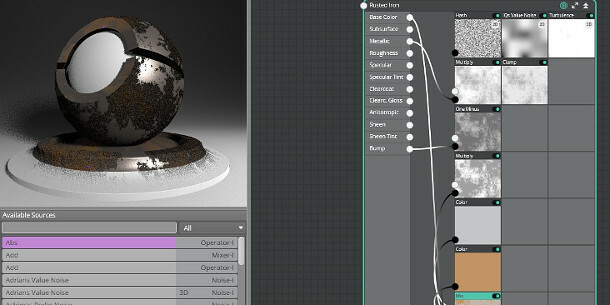 3D previews are generated using Material-Z’s built-in path tracing render engine, and can be displayed on a standard shader ball or a range of geometric primitives, as surface close-ups, or applied to terrain. Once generated, materials can be saved to your desktop or the cloud, or you can export the GLSL shader code and texture maps in PNG, JPG or WebP formats, at user-selectable resolutions. 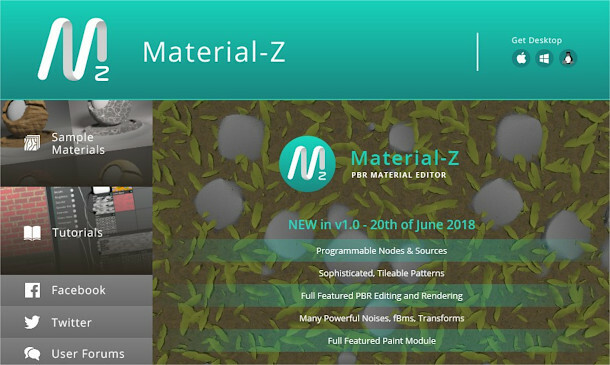 Updated 21 June 2018: Material-Z.com has now officially launched. You can read the official summary of the features in version 1.0 on Braindistrict’s blog. As well as the tools listed above, the site features a paint module for manually painting or editing details. Material-Z.com is free to use: according to Braindistrict, in free mode, a ‘please register’ dialog will pop up from time to time, but the core functionality will still be available. An annual subscription to the site, which removes the pop-up, costs €19.99 (around $25). There are also downloadable native desktop versions of the tool for Windows, Linux and Mac OS X.